Doesnt buffer at all anymore, just stutters along 1 bit at a time making viewing anything streaming impossible. And now that they successfully shut down ALL the plugins, this software is completely useless. Avoid. Aegis69 should be banned for not being a trump supporter and should be banned from this site forever. A great windows media center alternative! with a lot of features to keep you busy, if you have a tv tuner card it will support that to though the configuration for your tv tuner card can be a little overwhelming , really wish it was a little simpler in that aspect but a great free program give it a try ! 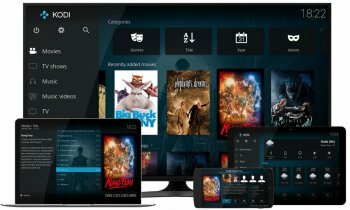 Impossible to rate Kodi anything but 5. Fantastic front end to your htpc project. Allows you to configure to your heart's content. A coupla 10" Tablets & an Android Fone. I've only got 2 Add-ons Installed. Region of 100,000 to 200,000 accessible Streams. It is of Course Streaming, Static & Live. So lots of Glitches with Quality. Pros: very good media app, many mods possible. Cons: took them 3+ years to fix the buffer. still a steep learning curve. Bottom Line: Doesnt buffer at all anymore, just stutters along 1 bit at a time making viewing anything streaming impossible. And now that they successfully shut down ALL the plugins, this software is completely useless. Avoid. Pros: Aegis69 should be banned for not being a trump supporter and should be banned from this site forever. Bottom Line: Aegis69 should be banned for not being a trump supporter and should be banned from this site forever. Now that I've finally started using this, I wish I had started, and organized my media to work with it, years ago. I had tried it before but uninstalled because I was too lazy to make the time to get comfortable with it. Now that I'm using it I changed all my files to be in individual subfolders with the format 'Movie Name (Year)' and had to look up all the years on imdb, but only have to do that once. I highly suggest using Media Center Master (http://www.mediacentermaster.com/) to scrape the data so you don't have to rely on Kodi to do it. I used to use K-Lite, but if you want to use MADVR, the simplest installer is with Kawaii Codec Pack which I moved to: http://haruhichan.com/fo...5-KCP-Kawaii-Codec-Pack . 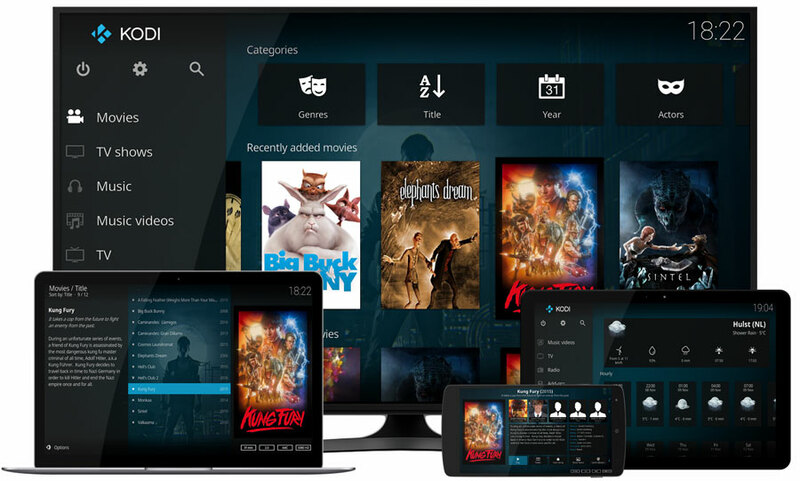 However I don't see Kodi as a replacement for codec packs - its power is in being a media library. shame it's picture quality isn't that good on some codecs. And it's a nightmare to set up madVR rendered on to get better picture quality. MediaPlayerClassic and K-lite codecs can be configured with a few clicks for MadVR for much supirior picture quality which shows on bigger screens.